Located on a private road, the Mermaid House is a great destination in Cedar Key. 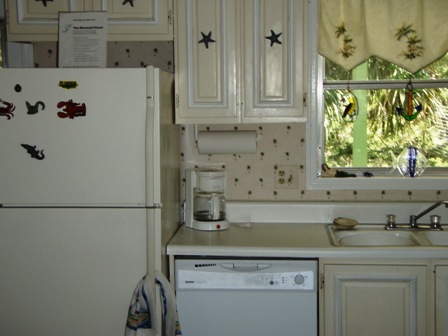 About 1 mile from downtown, you will be right at home in this cozy 2 bedroom, 2 bath house with a washer and dryer, and dishwasher. An open floor plan makes this house feel bright and airy. 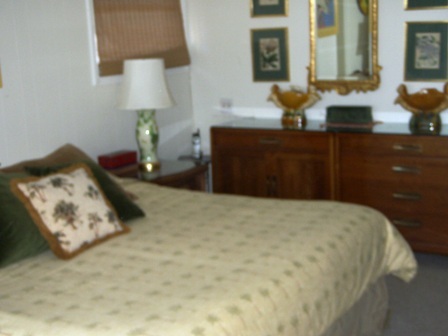 The master bedroom has a king size bed and private bath. The second bedroom has 2 twin beds and there is a trundle bed off the living room. Also available, for an extra charge , is the Mermaid Pad. Below the house is a finished room with a futon, refrigerator and air conditioning unit, with a private bath through a breezeway.